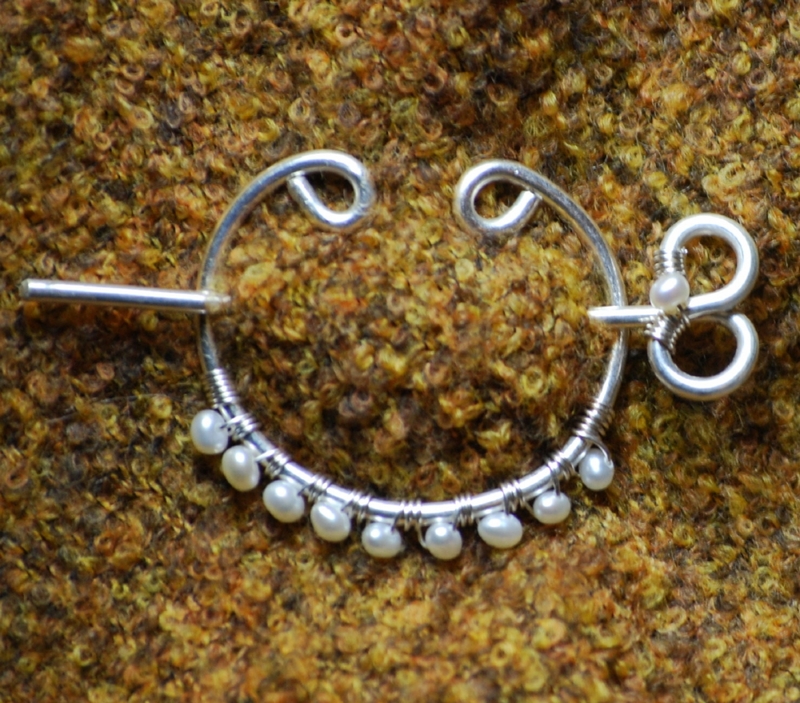 For loosely woven shawls, scarves, sweaters, this two-piece shawl pin is an elegant accessory. It is made from fine silver (.999; pure) in a Celtic open circle and embellished with small freshwater pearls. the pin can be worn at a variety of angles. Practical and pretty! The 'pin' measures about 3 inches long. This shawl pin is handcrafted in my smoke-free studio and shipped domestically USPS first class parcel with tracking.